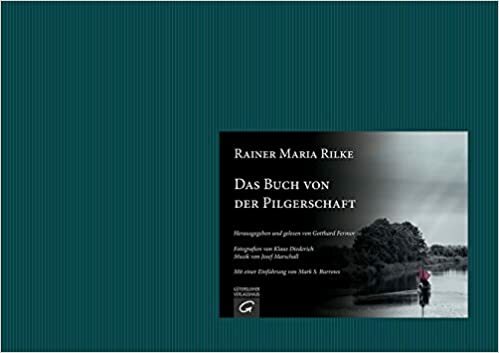 The first two of three projected volumes are now out: the first, Das Buch vom mönchischem Leben, published in 2014, and the second, Das Buch von der Pilgerschaft, published in 2016, offer the poems later published as Das Stunden-Buch (together with the third part, The Book of Poverty and Death, projected for publication in 2018) complete text of the Stunden-Buch in the first published edition of 1905. Each poem in these volumes is coupled, on the facing page, with new black and white photographs by award-winning photographer Klaus Diederich--in vol. 1, from an abbey on the Rhine-island of Nonnenwerth, south of Bonn; in vol. 2, from Worpswede and Westerwede together with the surrounding countryside, where Rilke wrote the poems included in this section. 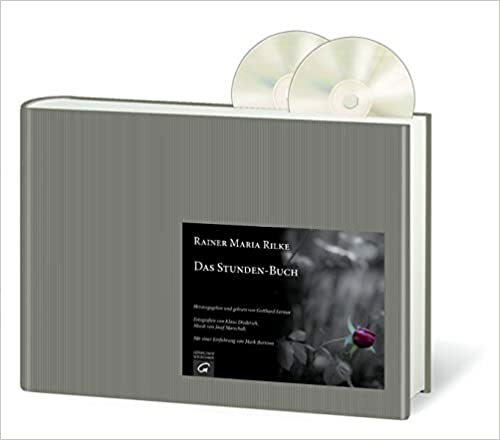 Each volume includes two CDs, with each of the poems read by the editor-in-chief, Gotthard Fermor, and musical compositions written and performed by Josef Marschall (piano) and, in vol. 2, Jürgen Hiekel (saxophone). Each includes my introduction to the volume of poems in question. Published by Gütersloher Verlag, an affiliate of Random House.